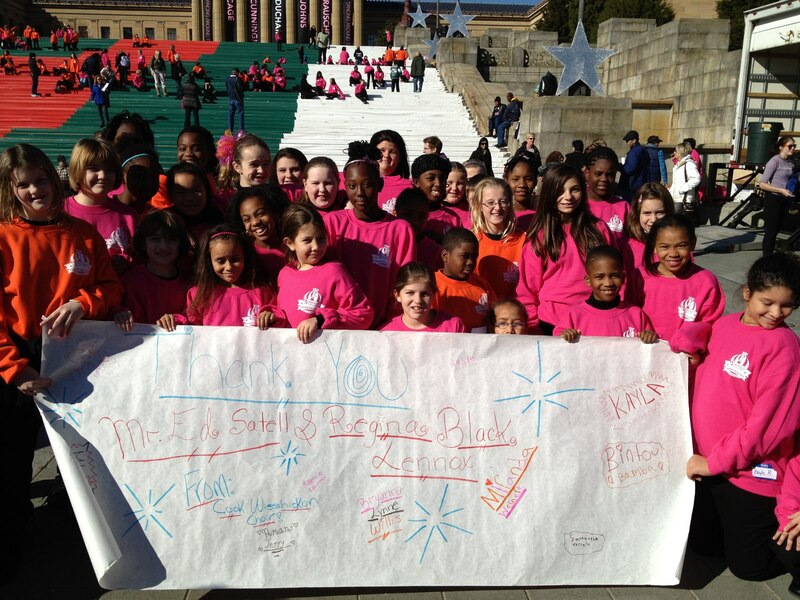 The Cook-Wissahickon Choir will take part in the Philadelphia Thanksgiving Day Parade for the second year in a row! Congratulations to Choir Director, Mr. D’Orsaneo, and to all the students in the choir for their hard work. This is an invitation to everyone to bundle up, come out, and cheer them on! For the Thanksgiving Parade, the students will be broadcast by 6ABC. They will sing on the museum steps, along with 800 others from across the nation, in a mass youth performance, which will be televised at approximately 10:45 a.m. The group will also be performing a final number to wrap up the parade, which will air around 11:45 a.m.
Our Choir has performed in a variety of venues including Lincoln Financial Field, the Temple Owls’ Homecoming Game, and the Miss America Parade. The Choir has competed at Hershey Park, has received top honors in several competitions, and is currently trying for the B101 Choir Competition. The Cook-Wissahickon Choir is proudly supported by Progressive Business Publications. Want to hear more? We are hosting our first night concert in many years at Cook-Wissahickon Elementary School on Thursday, December 19, at 6:00 p.m. In addition, the Choir’s holiday album is available for $5.00–contact Mr. D’Orsaneo for a CD.